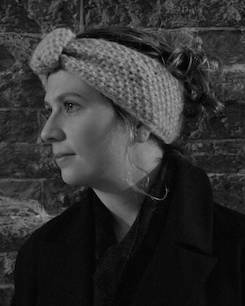 Katy Long is a lecturer at Edinburgh University and a research associate at the Refugee Studies Centre, University of Oxford. As a child, the experience of immigrating to Canada (and then later returning to the UK) left her with a deep interest in national identities, international borders and how people “belong” to places – as well as two passports. She later became professionally interested in migration whilst living in post-conflict Guatemala in 2006, completing her doctorate on the topic three years later. This research formed the basis for her first book, The Point of No Return: Refugees, Rights and Repatriation (Oxford University Press: 2013). Katy has also completed several projects for the United Nations High Commission for Refugees, looking especially at the consequences of protracted refugee crises. In the past two years, her work has increasingly focused on understanding the impact of immigration in the West – and the politics of immigration control. When I decided that I wanted to write a book for the general public and not just an academic audience, everyone I spoke to said that I needed to find a good non-fiction agent. With the help of Google, I found Andrew Lownie. I sent him a proposal and to my delight heard back from him straight away. Katy Long will be on BBC Radio 4’s “Four Thought” programme, which will be broadcast this Wednesday at 8.45pm, discussing her new book for Thistle Publishing, The Huddled Masses. 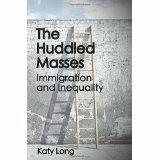 Katy Long’s Kindle Single The Huddled Masses: Immigration and Inequality has received an excellent review in the latest issue of International Socialism.